In late November, the Idaho Coalition invited organizational members and allied partners to come together from the Latino, Native American, refugee, disability advocacy, LGTBTQ, and Muslim community and from across social justice movements – from the reproductive justice movement to the human rights movement to the environmental justice movement. We spent our time together building relationships and identifying ways to support one another. Many of us expressed fear, uneasiness, and uncertainty about the future. We longed for belonging, understanding, a home, and safety in a world that no longer felt familiar. We worried for our families, our communities, and our loved ones. We longed for a future that is better than our past and a way forward that generates hope, healing, and well-being. We wondered if we can trust our leaders, our neighbors, and even our own family to create this future with us. And, we knew courageous leadership must start with us. Much like the community and tribal domestic and sexual violence programs a few weeks earlier, we shared our stories about what we valued and what we saw as possible. We engaged in deep conversation about what had just happened in our country and what should we do. We understood that the risk of safety to one community is a risk of safety to all of us. We spoke of creating “safe spaces” and committed to work across movements, and show up with and for each other. So, when our Black History Museum in Boise was targeted by hate and ugliness last week, the Idaho Coalition acted in solidarity with our Black community members. What did this look like? We contributed to the Black History Museum and invited community members to share their deep sadness about the hate and ugliness that has been unleashed in our community in a face-to-face conversation with five family members, friends or colleagues. We encourage you to reach out to nonprofit organizations or leaders in your community that are connected to or work with people who are fearful or who have been subjected to hate and violence – people of color, people with disabilities, the Muslim community, the immigrant and undocumented community, the refugee community, and the LGBTQ community. Together, we can find ways to support each other. We are grateful for the opportunity to partner with you as you help individuals impacted by domestic or dating violence, sexual assault, and/or stalking, transition into permanent housing. Many survivors can benefit from this assistance. In order to achieve an equitable distribution of resources, we strive to reach our most marginalized or under-served community members. 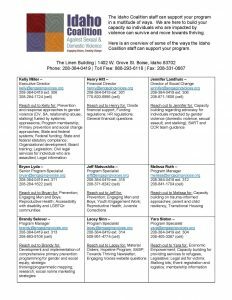 Eligibility: A person fleeing domestic or dating violence, sexual assault, and/or stalking, and emergency shelter is not available or is inadequate for this survivor. This person may or may not be transitioning out of shelter, looking for housing, or already in a living situation, but would benefit from additional stability. Approximately $6,600 available per program over the course of the next 2 years. Funding availability and allocations may change over the course of the grant due to grant requirements, new programs utilizing funds, and/or programs not utilizing funds. Monthly payments can vary. For example, you could provide an individual with a larger amount to secure stable housing and then pay a smaller portion of the rent as time goes on. Program must write checks to landlord/utilities and invoice Coalition. Coalition reimburses the program. If you need other arrangements, please contact us. Transitional Housing Launch Webinar may be helpful viewing. It’s about 20 minutes in length and can be accessed by clicking here. Hope, healing and strength are core values of Advocates Against Family Violence, and those values emanated from Kim Deugan, Executive Director, as she talked about their work, life, challenges, and what’s to come, one recent snowy day in Canyon County. Kim doesn’t leave the work behind. She is the work. When it’s so woven into the fabric of your life, and how and where you show up, you’ve become an activist. You’re also at greater risk of burn-out, which is why Kim has taken steps to provide a genuine culture of care and support for her entire team – 28 staff, 50 committed volunteers, and 9 board members. Although Kim’s exterior often shows what a go-getter she is, she is also a strong nurturer. These qualities are reflective across the programs and services offered at Advocates Against Family Violence. Advocates Against Family Violence has a continued commitment to increasing their accessibility and true relevance for survivors from diverse backgrounds, by seeking training on working with under-served and marginalized people, offering bi-lingual services and resources, in-school services to reach youth, rural outreach, top notch childcare, learning services, and much more. Pulling into the Advocates Against Family Violence campus, you’ll see people sitting in the green space in meditation or playing with their dogs. The emergency shelter is large and old, but is a continued work in progress, with dedicated staff providing support that fosters hope, healing and strength. 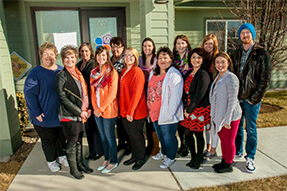 Advocates Against Family Violence campus also houses the first Let’s Move Certified child center in Caldwell. It is a happy, safe place. Kim beamed when describing a recent story. A young man at juvenile Corrections, one of about 8,300 youth reached this year through their teen outreach program, opened up to Kaitlin, the Teen Advocate. She had struck a chord with him, and he was ready to risk feeling hope for something better for his life. Kim talked about the important work her staff does with campus sexual assault, and the Advocacy Learning Center – an intense 18 month curriculum that is helping facilitate changes Advocates Against Family Violence has been wanting to make. The biggest change? More and more Advocates Against Family Violence sees their role as community advocates, and are setting up for the transition of what Advocates Against Family Violence will look like. “We are here to build healthier communities. Domestic and sexual violence are community issues – not just OUR issues. We are here to support the community’s efforts in the ways we can. But the entire community is responsible and our role is to increase their engagement, wear the hats that we’re good at, continue providing advocacy and support services, and create change.” Seeing the determination in Kim’s eyes, hearing it in her voice, and knowing how far Advocates Against Family Violence has evolved even in just the past few years – no doubt it will be amazing to witness. Some of the best gifts are those we give to others. Did you know Christmas is the most celebrated holiday in the world? Some celebrate it for religious purposes, others simply for cultural or family tradition, and some celebrate for both reasons. However not everyone celebrates Christmas. In fact, between November 1st and January 15, there are nearly 30 holidays observed by 7 of the world’s major religions. Some families celebrate multiple holidays, regardless of their chosen religion. Remember, when we wish someone a Happy Holidays, we are being inclusive of multiple celebrations, religions, and world views. Consider other celebrations around the holidays, and how your agency can show awareness and acceptance to all, even if also going full-on with Christmas spirit. It could be inclusive decorations or holiday greetings, or acknowledging or celebrating other holidays such as Hanukkah or Kwanzaa. The holiday season can be especially difficult for people who are experiencing violence, and for their children. One survivor talked about how the holidays were extremely stressful and painful when she was living with the abuser. It was when she was in shelter, in the care of an agency that understood the need for community, connection, and celebration, that she finally felt hope and joy. She said it was the small things – acts of kindness, and the value advocates placed on connecting with her, and helping her connect with her kids. How do your programs helps brighten the lives – and the holidays – of people you’re working with? We happened to get a chance to talk with Rhonda with Priest River Ministries. One year their staff chipped in and bought the women in shelter pedicures. In addition, each year, they do a Parent’s Choice Toy Drive. Parents who are working with Priest River Ministries are asked what gift they would like to give their child(ren). The Priest River Ministries team then works on matching individuals, families, and organizations to purchase those items, which are then delivered to the parents (via Priest River Ministries). Parents are able to wrap and give the gifts to their children. Rhonda shared this touching story: “A shelter mom from last year who got a toy for her child was so touched by the generosity and opportunity to provide what she wanted for her child, she joined the list of donors this year – and has adopted a family in shelter to purchase gifts for.” There are 27 families who will be able to provide gifts for their children this year, thanks to this program. Whether through big projects, or small acts of kindness, you are a gift to this world, and in this work. This holiday season let’s be extra kind to ourselves and to others. As you are well aware, on March 7, 2013 the Violence Against Women Re-authorization Act of 2013 was signed into law. This critical legislation provides lifesaving efforts on behalf of individuals who are impacted by domestic violence, sexual assault and stalking. One of the areas that was impacted by the VAWA re-authorization is the Clery Act, a campus regulation that requires institutes of higher learning to publicly report the number of crimes that occur on campus, as well as develop prevention and response programming for these crimes. Previously, the Clery Act was limited to sexual assault crimes, and did not include domestic violence, dating violence, or stalking within its regulations. This all changed with the VAWA re-authorization, however, it has taken some time for the Department of Education to outline how these changes will be regulated on campuses. On June 23, 2016 the Department of Education released an updated Handbook for Campus safety and Security Reporting that assisted colleges and universities in implementing these new Clery Act requirements. Since January is Stalking Awareness Month, this allows for us to highlight some of the changes that are required in regards to stalking. Describe the procedures victims of stalking should follow if stalking has occurred, and a description of the disciplinary proceedings used by the institution if stalking is reported. Publish an annual security report contacting the safety- and security-related policy statements and crime statistics and distribute it to all current students and employees as well as inform prospective students and employees about its availability. For those of us who are working with individuals attending colleges or universities, or have a local institute of higher learning in our jurisdiction, these new regulations allow for additional collaboration opportunities. Campuses are required to have a policy for how stalking is reported, including who students should report to. Students are given the option of reporting to law enforcement and to campus authorities. 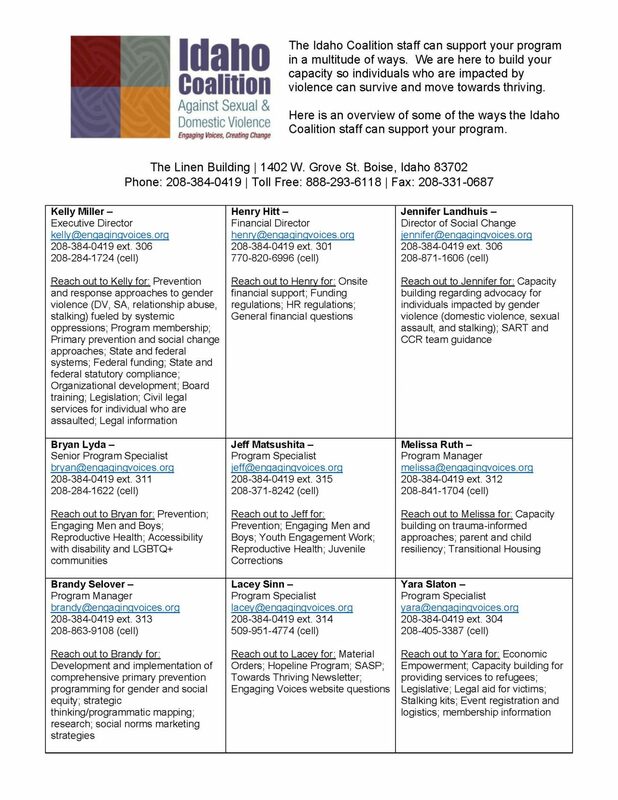 Additionally, those students who are reporting should be receiving a list of resources, including your local community or tribal domestic violence program. Check in with the individuals you are working with as well as with your local institution to be sure that your agency’s information is included. Campuses are also required to be doing prevention programming on stalking for incoming students and faculty, as well as ongoing education and awareness presentations. This provides a fantastic opportunity offer such programming to your local college. You could assist with the design of such programs and offer to facilitate them in coordination with the college. Make contact with your local campus and remind them that January is stalking awareness month and offer to collaborate! If you need Stalking Awareness materials or presentations, please contact Jennifer jennifer@engaginvoices.org and we are happy to assist you with these. You should also check out: www.stalkingawarenessmonth.org for ideas for January! Please click here to view a replay of the Transitional Housing Launch Webinar. It is about 20 minutes in length and full of helpful information about the grant. Every time we board a plane, flight attendants tell us we must put on our own oxygen mask before attending to anyone around us who might require assistance. We know that we can’t reliably show up for others if we haven’t taken care of ourselves first. The same applies in this work. While we may be able to keep driving forward by sheer force of will without practicing self-care, we are simply not bringing our most powerful selves to the effort. To stay in this for the long haul, stay open to possibilities, cultivate our creativity and have the greatest impact possible, we need to take care of our most essential resource: ourselves. 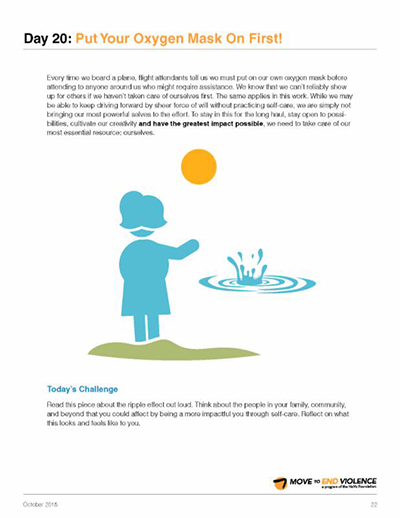 Read this piece about the ripple effect out loud. Think about the people in your family, community, and beyond that you could affect by being a more impactful you through self-care.Reflect on what this looks and feels like to you.